It is officially FALL! YAY! My favorite season. The morning and evening temps are just beginning to chill a bit, football season is on and strong, candy corn has filled the shelves in the stores, and the crickets are thick….All of the signs of the start of this season and more. Wishing you a blessed week. I am off for an extended Sunday drive, and hopefully some new adventures, so we will visit again soon. This entry was posted in Fall, photos, Reflections, Uncategorized and tagged autumn, fall, Happy Fall, See ya soon, Train tracks. Bookmark the permalink. Paula – Northeast Florida will have the A/C on until some time in November. We do get a slight change of leaf color on some trees. We have the air on during the day….the mornings and the evenings are perfect right now! The color should start happening in the next few weeks. I think it’s awesome you do get “some” color change! I am right there with you! Happy Fall To You As Well! Miami still hot but does drop 10 degrees at night. That 10 degrees certainly helps, I’m sure. We are loving the mornings and evenings of 50’s and 60’s. Daytime still warmer….but not bad. Hope your week has been good! FAbulous photo! Enjoy your drive Paula. I love fall too! Thank you, Louise. Here’s to FALL! Wow….I would sure take your winters!! 🙂 Enjoy and thanks! I’m an autumn girl .. I just love the natures burned colors and the intensity of them. Excellent shot … our autumn is not so colorful yet, but very dark, windy and wet at the moment. So this brightened up my evening. Well I certainly hope you have seen some light since this post. 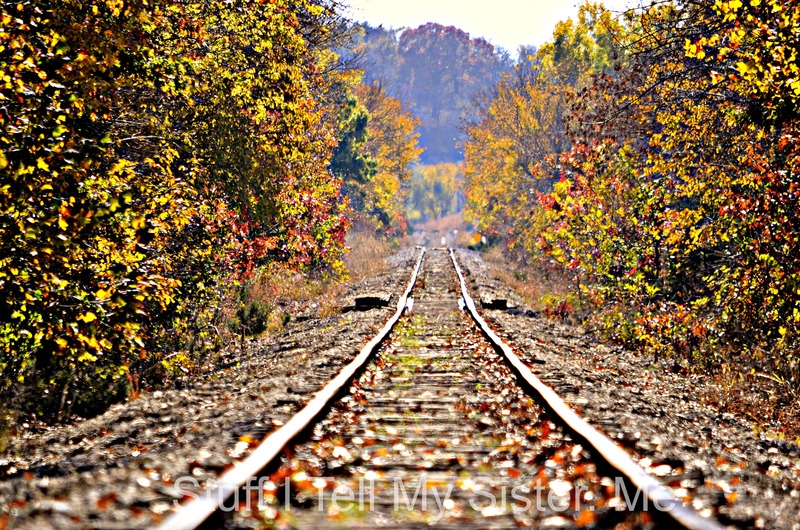 ♥ Our fall colors are not quite here…..this photo is one from last fall….so hopeful for brilliant colors. And while we truly need rain…..I still favor the sunshine. My very very very favorite time of year. The deepening shadows. Thank you, Dave! Happy weekend! I’m looking forward to my Liquid Amber tree leaves turning! We don’t get a lot of fall foliage color here. Enjoy the season and I’ll enjoy it through your photos! Well while the date “reads” fall….the colors are not hear quite yet. The temps are teasing us right now with cool mornings and evenings. This works for me right now! I will have to “google” your Liquid Amber. It sounds lovely! Wonderful photo – it almost convinced me I might want to think about getting some sweaters out – but then again – perhaps I’ll wait awhile. I love that photo – speaks fall all the way. Thanks….. looking forward to the color change! Gorgeous, Paula! I love fall, too! Our temps are cooling now in the mornings and evenings. They are predicting color by the end of the month to the 1st week of November….so yay for that!